If this isn’t the definition of unique, then I don’t know what is. Source: Received in exchange for review (thanks!). This is my honest opinion. The Minnow totally met the bar for my expectations. 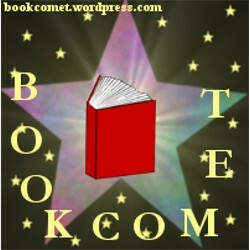 Many of my fellow Aussie book bloggers has read this book and pretty much all of them raved about it. Being the very inquisitive bookworm I am, I just had to know what it was about. But back to the unique side of the book: I have never come across a book about a girl who can talk to animals, ghosts AND an unborn baby. Or about a pregnant (then fourteen) fifteen year old girl before. I think the thing about The Minnow that touched me the most had to be Tom herself. To be honest, I still don’t know whether she genuinely was seeing ghosts or whether it was just her way of coping with her life, but either way it was so interesting. Tom was quite a strange character, but she was loyal and I liked reading about her. Everything about her was unique: her situation, her personality and yeah, well, everything. This next comment is probably going to contradict my whole review though. Because something wasn’t…unique. I’m pretty sure I just heard you gasp. 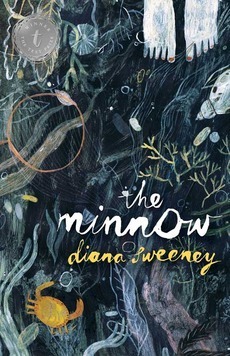 The Minnow just had the same “character voice” as other purposely “weird” books do. I’m not saying that this is a bad thing, actually I liked it, but I can’t say this is an honest review if I claim that EVERYTHING was unique. The relationships formed in this book really seemed to grow. Or in at least one case, decrease. But I don’t like that said relationship. But whether it was the friendship between Tom and Jonah, or Tom and Nanna or even Tom and The Minnow, it was all good. There were quite a few turns I didn’t see coming though. All of a sudden something very abrupt and life changing for the characters amid what was typically a slow story. A little too slow actually. But it made for an easy read. Which of course had deeper meaning. I’m glad I read The Minnow and would definitely recommend it to someone looking for something a little different. I would probably suggest it for ages twelve and up. Just because it’s YA doesn’t mean that adults shouldn’t give it a go. I think that this is the sort of book that could definitely be enjoyed by adults too! Diana Sweeney is a university lecturer and fashion model. She was born in Auckland, and moved to Sydney at the age of twelve. She now lives in northern New South Wales. The Minnow is her first novel.